Europa Universalis IV, one of Paradox’s long-running grand strategy games, is receiving its 15th expansion pack next month. Titled Golden Century, the new DLC focuses primarily on the Iberian nations and naval updates. You can also become a nation of pirates in this one, making it all the more appealing. As the promotional art suggests, Golden Century is themed around the Iberian nations. More specifically, Spain and their 16th century history, such as the Reconquista and the conquest of the Aztec empire. Iberian nations, like Spain and Portugal, can choose to have religious orders govern, reducing unrest and making it easier to convert provinces to the True Faith (according to the government, of course). Colonizing nations, Iberian or otherwise, now have the ability to populate their colonies by shipping off minorities from their home provinces in order to keep the nation cohesive, though there are definitely nasty side effects from performing such actions. If being a big stuffy nation isn’t your cup of tea, Golden Century adds pirate republics to the game. 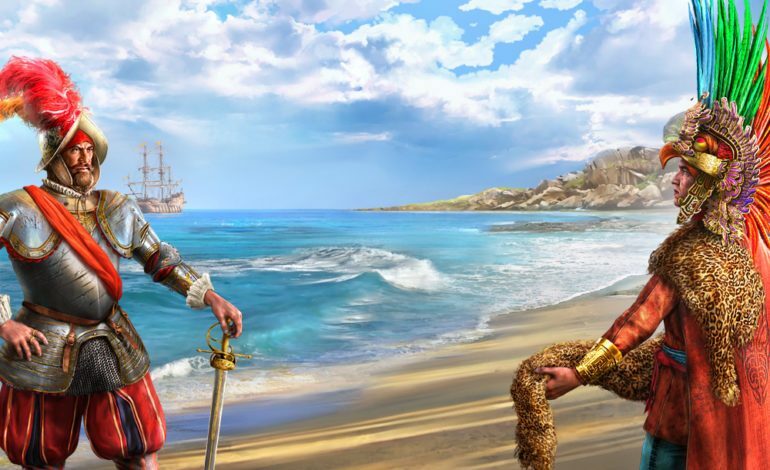 Small island nations can choose to become pirate republics through a new decision, and historical events can add new ones to the map, spread across places like the Caribbean, Madagascar, the East Indies, and the Barbary Coast. The pirate republics have their own kinds of factions, such as smugglers and buccaneers, and their leaders don’t hold absolute power; they have to deal with the occasional elections. There’s a variety of other miscellaneous naval features to expect. Players will be able to appoint flagships, which are stronger than normal and improve the combat and trade power of the fleet they lead. Naval sieges will become an option, allowing you to bombard enemy forts with cannon fire. There are also 34 new ship models, split evenly between Iberian and Berber nations, as well as some new land unit models. Hopefully there’ll be a cool easter egg hidden in the expansion, or it might get overshadowed by the ‘Animal Kingdoms’ easter egg in Crusader Kings II: Holy Fury. Prepare to plunder when Golden Century releases December 11 for $9.99.